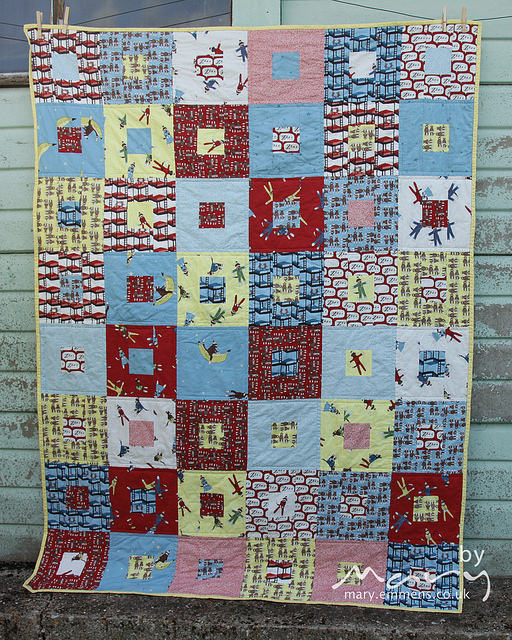 So I wasn’t really expecting to finish 2 scrappy log cabin quilts in one week (and get photo’s taken and a blog post written!). You can read about the one I finished last week here. 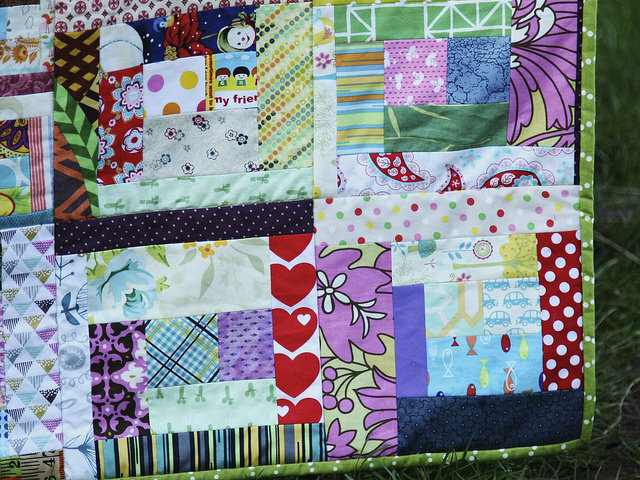 This one is not massively different in that the blocks are the same sizes, the quilting pattern, threads used and the binding are all the same! So this will be a photo heavy post rather than repeat myself! 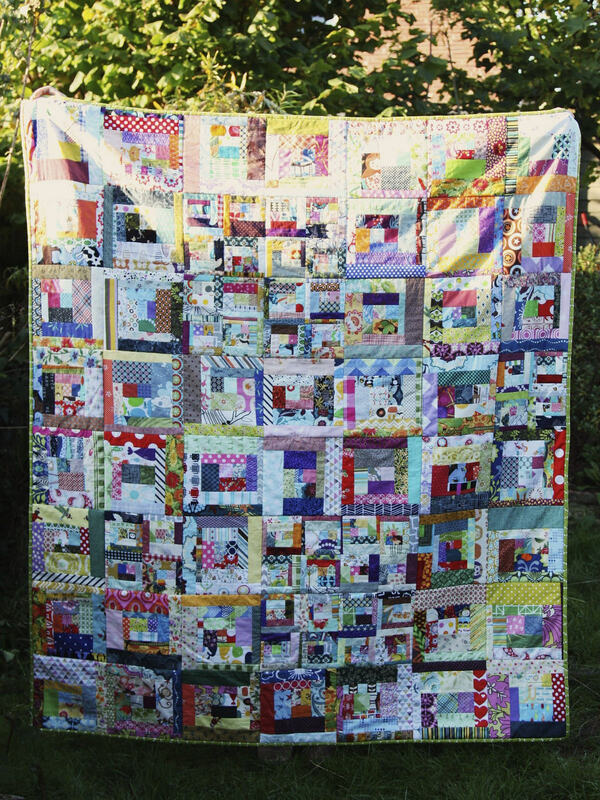 If I’ve swapped scraps with you, or you sent me scraps or fabric donations for Siblings Together I can almost guarantee that there is some of that fabric in this quilt (or the one I finished last week)! I’m quite gutted that I’ve come to the end of the Alison Glass Bike Path prints, I love how they look as binding; I’ll be keeping an eye out for more at a bargain price. I’ve tried to be efficient and remember to add labels as I go rather than having to do a pile all at once so now both the scrappy log cabin quilts have labels on (generously supplied by Spoonflower). 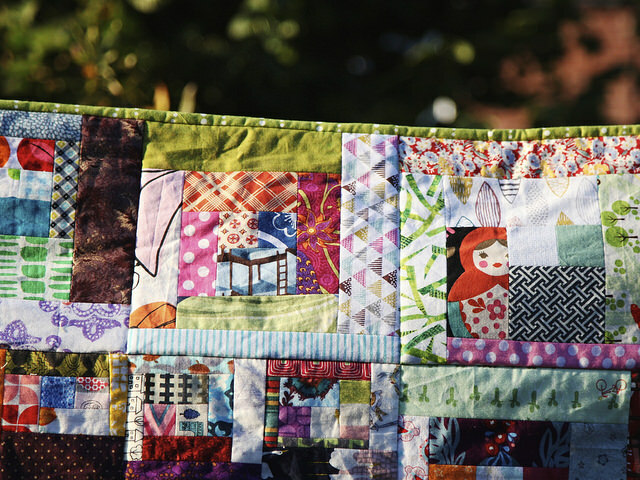 This is another tick off my 3rd quarter FAL list which is a nice surprise for me and also another quilt for Siblings Together and to add to the 100 Quilts for Kids list. This makes me want to dive into my scrap bag!! Beautiful finish! Another great quilt for ST! 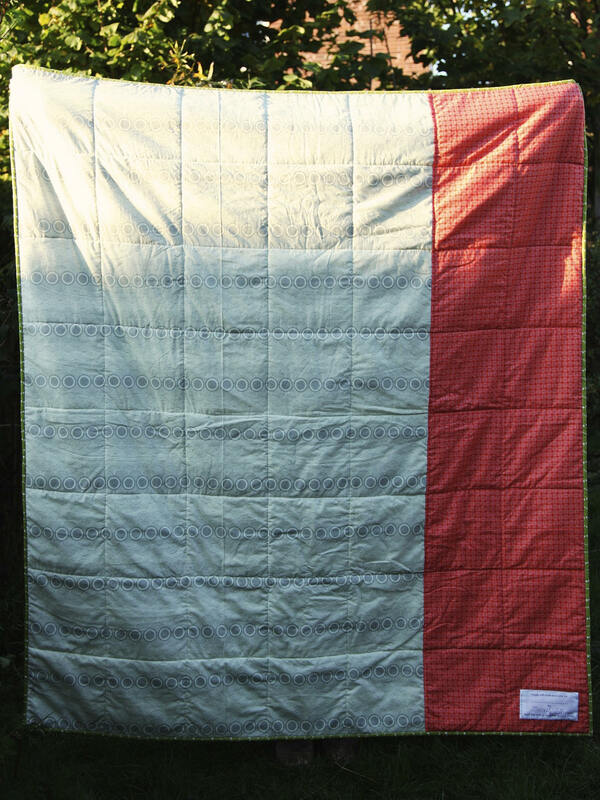 This is a lovely quilt and I’m sure it will be much appreciated and enjoyed by the recipient. 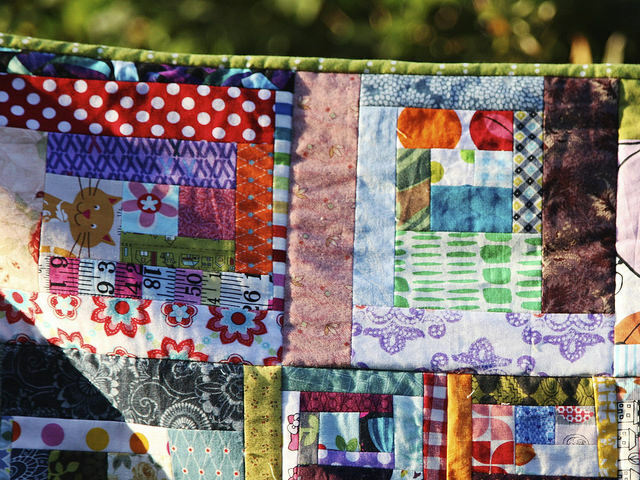 Scrappy quilts are the best because they allow you to remember all the other quilts you have made. 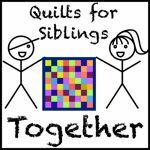 Thanks for joining the #siblingstogether link up!